‘IKNOW’ a Brainchild of Timsy and Siddartha was conceived in 2009. Their ideology is “To Bring Fashion to your Wardrobe”, which they have very much achieved judging by the Stylish and Affordable Collection. Monochrome Shirt Dress and the Monochrome Shirt with Boat Neck Collar. These Peplum Jackets are Structured yet Girly and are available In Colours of Lime and Black. A must have in the wardrobe of any woman who has a Slim, Slendour and Athletic Frame. They add that bit of Curve that is much needed. Burgundy & Bubble Gum Panel Shift Dress, Princess Line Collared Dress and an Indigo with Black Satin Stripes Dress. Classic Leopard Print Bodycon, investing in this timeless classic piece is worth it all. Animal Print with a twist in it, this Dress with Multi Coloured Snake Skin Print is so Chic and soo in trend this season! SS13 Fashion Week unveiled a dresses with Graphic Prints and High Low Hem-Line and Cut-out Sleeves. Summer is here and the best way to express it, is with these Light Coloured Shirts with Peter Pan and Colourful Collars. A huge trend of SS13’s – Metallic Studs and Vertical and Horizontal Lines. This Off White Shirt is a MUST HAVE in everyone’s wardrobe and so is this Dress with Vertical and Horizontal Lines. Pick this Blue Pleated Flare Number which adds a lot of Volume and that Zazz to an Atheletic and Slim Body. Pair it with a Hot Pink Skirt, a Blue Stiletto and it’ll do Wonders to your whole Look. Trust me.. this brand is Pocket Friendly! Currently they are offering a Rs. 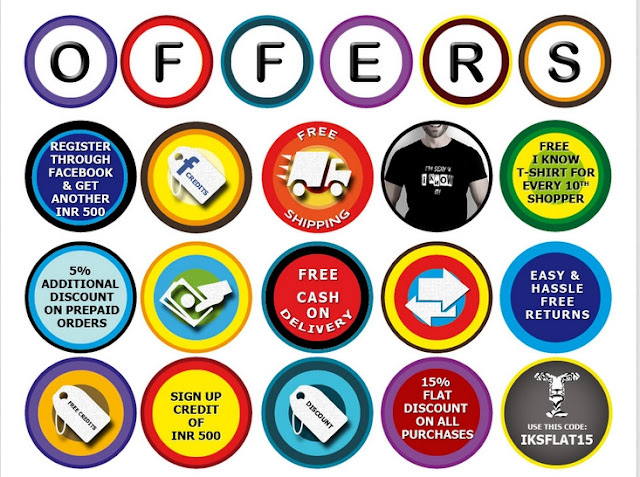 500 discount on your first purchase, 15% Flat Discount Coupon and an Additional 5% Discount on pre-paid Orders. For more offers click on the pic below. That’s a lot ain’t it? Don’t miss it! Do leave me your comments! love these clothes! love ALL of them!